Home > Blog > Air Conditioner Rental > Does Air Conditioning Unit helps remove Humidity at home? During summer, certain region experience very high humidity levels. Apart from temperature discomfort, high humidity can also bring mold which many individuals have allergic reactions to. A person mostly elects to stay inside during these humid times and turn up the air conditioning, but can your air conditioning unit genuinely eliminate humidity within your home? The Answer is a Big YES ! The most common misunderstanding is the idea that your air conditioning unit’s only purpose is to continually blow cool air into your room, until the space has reached the temperature you have set on your thermostat. It is true that your air conditioner blows cool air into your room, it is also multi-tasking by removing warm air and humidity as well. The main goal of evaporator coil is to evaporate cooling chemicals from a liquid into a gas and at the same time absorb heat from the space to be cooled. You could notice a condensate pan beneath your evaporator coil to collect water vapor condensed over the evaporator coil. The air conditioning unit consumes the warm air through your room’s ductwork and uses the cool evaporator coil to collect the moisture from the air. Upon doing so, it drains and removes that moisture from your room and releases it outside through drain tube. This is the basic cycle of your house’s air conditioning unit. 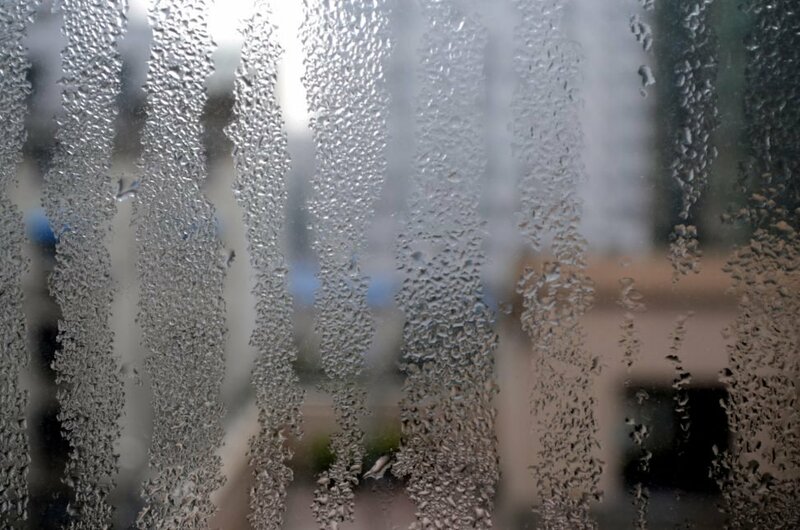 The significance to eliminate humidity in your home is because of the Health concerns. When considering humidity and warm temperature, mold a fungal growth appears during this environment. In more severe cases, yet rare, being exposed to mold lead to asthma attacks and harsh symptoms such as fevers and breathing difficulties. Therefore, it is so important to have a properly functioning HVAC system. If you notice that the humidity level in your home are higher than usual and your air conditioning unit still running, it shows an alert that you’re HVAC system is not working properly and should be professionally overhauled. Andrews Sykes Air Conditioner Rental offers a carefully managed solution to ensure there are no variations in comfort or ambient temperatures during this major air conditioner overhaul. Due to higher humidity, if there is wet wall, wet carpet or if there are window glasses with dews on, Andrews Sykes Air Conditioner Rental can provide you with a solution, focused on both controlled cooling & humidity level. 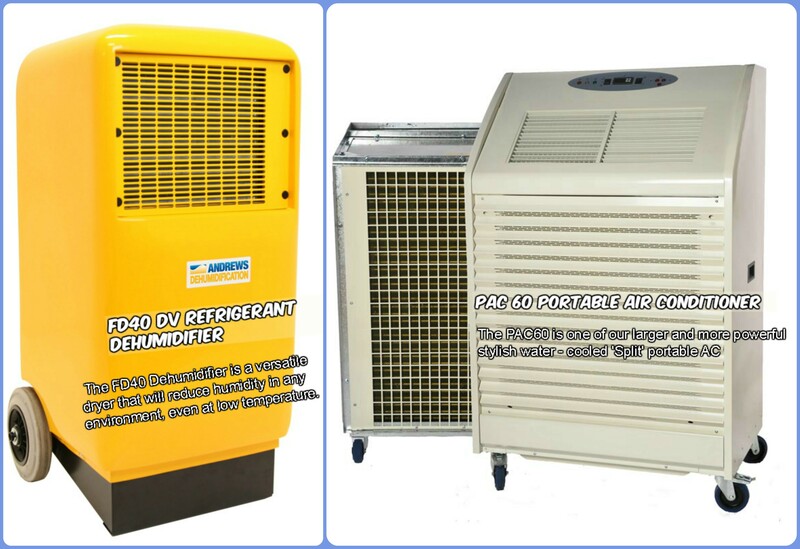 For any kind of air conditioner rental, chiller rental, heater rental, ventilation rental & dehumidifier rental, please do call Andrews Sykes Climate Rental today on (+971) 800 79537 or send your enquiry to [email protected]. This article was posted in Air Conditioner Rental, Andrews Sykes Climate Rental, Chiller Rental, Dehumidifiers, Emergency Air Conditioner, Portable Air Conditioner Rental and tagged Air Conditioner Rental, Chiller Rental, Dehumidifier Rental, Emergency cooling, High Performance Air Conditioner, temporary climate control, temporary cooling package. Both comments and trackbacks are closed.